In: former Duke receivers coach Gerad Parker, who brings Big Ten familiarity from his time at Purdue and a new approach to try to turn around a key cog in the Nittany Lion offense. And staying put: current special teams coordinator Phil Galiano, whose unit wasn't short on its own mistakes and mishaps throughout the year. Speaking to the media for the first time since warmer days in Orlando, Franklin had this to say about each of the critical decisions that will help shape the 2019 season and potentially beyond. "I'd love to go through my whole career with never doing that," Franklin said about Corley, and letting an assistant go. "I've done it now -- in nine years I've done it twice. And I still struggle with that today because I understand the impact that it has. I look at the whole picture of it. "But I also have a responsibility to the other coaches and staff members in my program. And I also have responsibility to our players. And I also have a responsibility to the lettermen and to the fans and those types of things. So you've got to balance, balance that. But it's not an easy decision. And I never make these decisions on an island as well. And it still bothers me. It really does. And, again, I gotta have loyalty to a larger group as well." Franklin's decision to move on from Corley came less than 24 hours following the end of the season after Penn State had returned to State College. Previously, Franklin had relieved former offensive coordinator John Donovan of his duties the after the conclusion of the 2015 regular season and a blowout loss to Michigan State in East Lansing. Current offensive coordinator Ricky Rahne would call plays for the TaxSlayer Bowl before the eventual hiring of Joe Moorhead. The latest vacancy left an important staffing decision to make heading into a pivotal 2019 campaign. Penn State's passing attack struggled to average more than 215 yards per game in 2018 after averaging over 260 each of the past two years. In 2019 a fairly young receiving corps will need to take important steps forward early in their careers as Rahne works in a new quarterback for the first time in three seasons. In turn, the hiring of a capable and confident receivers coach quickly became one of the more important hires Franklin has made in his tenure at Penn State. The result: Gerad Parker, former interim coach at Purdue and receivers coach at Duke in 2018, as well as a friend of running back's coach Ja'Juan Seider. According to Franklin, Parker "crushed" his interview, one that had a first impression dating back to 2016 when Penn State faced Parker and Purdue in West Lafayette. "Having some guys on the staff that have been head coaches before, having some guys on the staff that maybe have filled that role in -- like he did as an interim, I think it gives them pretty good perspective," Franklin said. "And we saw a team that day played really hard, played with great passion (Penn State won 62-24 but the game was tied 17-17 at half). And from what I understand from the people I talked to, that's why he got the job, is he was very well thought of from the players, very well liked, very well respected. And that's what they needed at that time. "So all the people that I've talked to and all the background checks that I've done, that's what's come up on him. And during the interview, it's a guy that comes in and has a presence and has command of the room, and then a guy that obviously has the detailed and specific understanding of the fundamentals and the techniques that are going to allow our guys to be successful at the very highest level. "On top of that, you're talking about a guy that's going to be able to build confidence. The fact that he played the position, I think, helps. It's not mandatory, but I do think it helps. It really does. We didn't make the plays that we'd been making. And we dropped too many balls. And there's a lot of factors that go into that. There's not one responsibility or answer for that; there's a number of them." It will be a tall order for Penn State and Parker to return to the kind of spectacular catches and plays of the 2016 and 2017 seasons, but any improvement on the overall receiving unit in 2019 could yield big dividends during a season that will have plenty of early question marks. 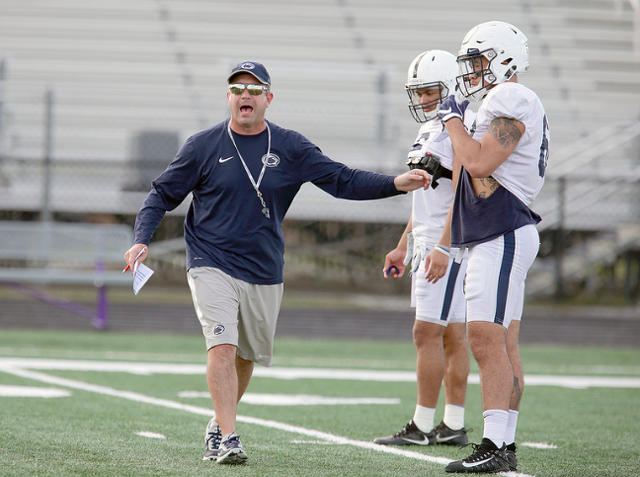 Finally, a change not made was the final headline of Penn State's busy month as special teams coordinator Phil Galiano was not let go, effectively announcing his return for another year after a mistake-prone unit blundered its way through the year. Of course not all mistakes are the result of coaching, nor do all coaches have their careers defined by their first year on the job. Whatever the case might be, Franklin won't be moving on from Galiano this offseason. "I have tremendous confidence in all of our coaches," Franklin said, "in all of our coaches based on their experience, based on their background. And for me, I don't make decisions just based on one area. It's a body of work. It's how are they with the players. It's how are they in terms of the staff. It's in terms of development of the individual players. It's in development of the scheme. It's in production on game day. It's in organization and practice. It's the type of role model they are for our players. It's all of it. "And for me it always comes down to is this the right thing to do for our program long term? And is the investment that we're making, are we going to get a return on that investment and how long are we going to have to wait for that return on that investment? "Some guys, guys are going to walk in and there's going to be an immediate impact. And some guys it's going to take a little bit more time. And I get that. And I understand that. But I'm a big believer that the men that we come to work with every single day, and that's our players and that's the coaches and that's all of us. And so that's where we're at at this point with our staff and with our players." It remains to be seen how long Galiano's rope is, especially if the unit brings its struggles into 2019, but for now the staff is set and only time will tell how a critical month of decisions pan out. 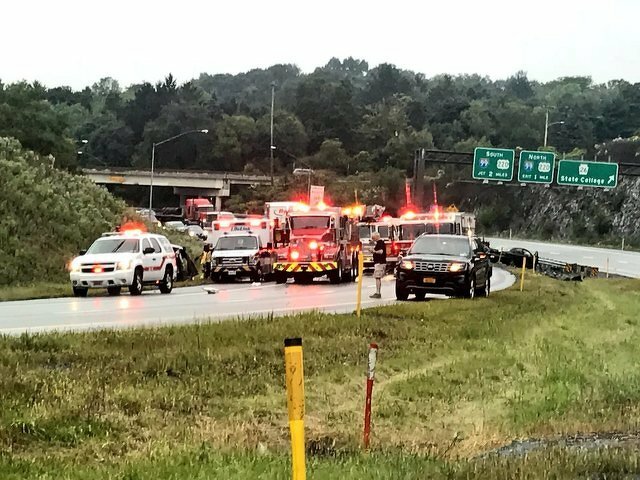 A 20-year-old woman is facing charges including homicide by vehicle for allegedly causing the September 2018 crash on Mount Nittany Expressway that killed a Bellefonte man.